In order to understand SAP joint venture accounting, we need to first understand the business process, the jva terms and the oil and gas process in general. Once you can understand that then the configuration aspect becomes easy. I have found that SAP JVA is the not the easiest module to master as there are quite a few things you need to understand. It integrates with a lot of modules and one small issue in setting up the master data could mean incorrect billing at month end. Since JVA is mostly used by oil and gas companies, the billing rates are really high and it’s not like the FI module where you can just google a lot of the errors that you see in F110. Before diving into JVA training, let's discuss how oil and gas is formed. It helps to understand the big picture before going into the details. hat are some of the Oils and Gases that you use in your daily life? Do you have a car or a motor bike? Then you are using gasoline( gas) and diesel. Have you taken a flight? The plane was using jet fuel. When you are cooking something, you are using gas. There are other uses of oil and gas as well. It is used in pesticides, lubricants, fertilizers etc. It plays a very important part in our lives. The global economy is affected a lot by the oil prices due to this dependence. Plants and marine animals died and got trapped at underground. High temperature and pressure then convert these organisms into oil and gas. This entire process took millions of years. The oil and gas business requires a lot of investment and it could take a really long time for you to get your money back. The business is pretty complex as well. Upstream- The Upstream companies are in the business of finding and extracting the oil and gas. They are also known as Exploration and Production companies. These companies will use various methods to find out if a certain area has oil and then prepare the area for drilling and then extract the oil and gas. Downstream- The downstream companies process the crude oil and natural gas into a form that is used by us. Licensing- The parties need to first get a license for drilling. The companies need to get permission from the owners of the land or the government to start drilling. Exploration- After obtaining the license, the jva companies need to start going through a process to find out if there is actually oil and gas in this area. They do gravity survey, seismic surveys and use other means to determine if there is a good chance of finding the black gold here. Development- The process of development involves building facilities to produce oil and gas effectively. E.g. this might be construction of roads, setting up of equipment that is needed to extract the oil and gas etc. Production-This involves the actual extraction, processing and exporting of the oil and gas. A hole is dig to start extracting oil and gas. Once we extract the oil and gas, we need to process it and then transport it to the refinery. Abandonment- Once the oil and gas extraction is done, the hole must be plugged and everything should be brought back to how it was before the process started. This is called abandonment. This video explains the process of oil and gas well. A joint venture is formed when 2 more parties pool in their money and resources to undertake a project. The companies work together, but they aren’t forming a joint company i.e. their books are not merging. They are not becoming one company, but running the business together and still being separate companies. In the Oil and gas industry, the business is very capital intensive and risky. By forming a joint venture, the companies also reduce the risk of the business. Let’s look at a simple example. Three oil companies, Schlumburger, EXON Mobil and Chevron decide to participate in a joint venture. They are going to drill in a certain piece of land and find oil. There is a lot of study done to first figure out if there is the possibility of finding oil in that area. Engineers get seismic information, think of it like xrays of the earth which tells them what the chances are of finding oil over there. They also send sound waves and then check how they return to figure out the chances of finding oil. There are other methods as well.There is no way of being 100% sure that they will indeed discover oil and gas in this area. Exxon will provide all the equipment and resources for the drilling, Schlumberger will transport the oil and Chevron will also participate in the venture. This is a simple Joint Venture where three companies undertake to perform an operation by pooling in their resources. A Joint operating agreement is a formal contract that specifies details of the business. Who are the partners in this venture? What percentage is everyone’s ownership in this venture? How are the expenses going to be shared? How do the overhead costs get shared?E.g. Exxon Mobil owns 60% of the venture and Schlumber owns 30% and Chevron owns 10%. This is how the expenses and revenues are shared in this joint venture. The Joint Operating Agreement is the highest level In SAP for Joint venture Accounting. A joint venture is created below the joint operating agreement. A joint venture has an operator who is responsible for the day to day running of the business. E.g. if there is a cost of $100,000 for this venture, The operator will pay for this expense. From the same example of Chevron, Schlumberger and Exxon, Let’s assume that Exxon is the operator. In SAP, an invoice is created for $100,000( insert purchase order pic)in Exxon’s SAP system. Exxon will then pay this vendor directly. After a few days, there is another charge of $20,000, the same thing would happen. Exxon the operator will pay this invoice. Remember that Exxon owns 60% of this venture. If Exxon owns 60% of the venture, then why is Exxon paying the entire $120,000 charge of this venture? These costs are initially paid by the Operator and at the end of the month, the operator calculates the percentage every partner owes and then sends them an invoice for their share. At the end of the month, Exxon needs to send a bill for $30,000 and $12,000 to Schlumberger and Chevron. The non operator is the other partner in the venture i.e. the partner that is not the operator. In this example, Chevron and Schlumbruger are the non operators. The non operator gets invoiced from the operator and they need to pay these invoices on time and are also responsible in maintaining their owns books. The operator and non operator are created in SAP as business partners. These are also vendors and customers in SAP. Cutback is theprocess of distributingexpenses andrevenues to the partners in aventure.The Operatormanagers theventure and calculates the share of the nonoperators at monthend. This process is called cutback. E.g. if there was a $100 share that needs to be split between 2 partners in the percentage of 60/40. The cutback program will calculate that the non operating partner owes $40.The gross costs are stored in ledger 4A and the net costs i.e. the partner cost of $40 and operator cost of $60 is stored in the 4B ledger.The cutback program looks at all the gross costs in the 4A ledger and then applies them based on the percentages specified in the joint operating agreement. The example of a $100 invoice that gets cutback to 40 is a very simple, but in a real life scenario it becomes much more interesting.A joint venture could start of with just 2 partners,next month another partner joins, then the month after that there is another partner. Then one of the partners drops off, then 5 more join, then 1 drops off. The venture could have a thousand invoices. All these invoices need to be send to the right partners. There are many other scenarios which make this process of billing the right partner pretty complex. This is why SAP joint venture accounting is used by most Oil and Gas companies as it makes it easy to bill the right amounts to the right partners. You create an equity group e.g. EG1 and enter a description and enter the operater share. E.g. if your company is Exxon i.e. you are using SAP joint venture accounting for Exxon and Exxon is the operator, then you need to enter 60% as the operated share. The equity group becomes active once it is linked to an Equity Type. It is is the temporal link with an equity group. It defines from which date the group of partners and their shares are valid within the Joint Venture. There can be multiple Equity Types, linked to different Equity Groups defined on the JOA, active for a venture at a specific point in time. The Equity Type is linked to a cost object. Each joint venture has overhead charges that are not directly charged to the venture. These costs may need to be charged to the partners. During month end these overhead costs are calculated and depending on the agreement in the JOA, these may nor may not be billed to the partners. There are many kinds of overhead charges e.g. fixed percentage or based on certain statistical key figures or Stepped rate overheads where it calculated on a sliding scale. When a partner asks for an advance for the venture this is cash calling. Exxon the operator may be expecting to pay bills of 30 million for the month of October. Exxon could wait till the month of October finishes and then calculate how much each partner owes him and then send an invoice after cutback. If the JOA has an agreement for cash calling, then Exxon could estimate the charges for the future month and send a cash call to the partners in advance in anticipation of these costs. In Joint Venture, not every cost is billable to the partner. Some costs are 100% borne by the operator. E.g. if Exxon is hosting a celebration party for Christmas, should these charges be billed to the partners? Obviosuly not! But if there is a cost of running electricity at the construction site, should these be billed to the partners? Yes, these are charges that the operator should recover from the non-operator. How does the system know that in one case the operator is 100% responsible for the costs and in the other case the costs need to be billed?This is where the recovery indicator field comes into play. The recovery indicator determines whether the charges are billable or not. The billable indicator is defined in configuration and also at the transaction and master data level. This is probably the most important concept of JVA. If a wbs element for e.g. has the wrong recovery indicator then the partner doesn’t get charged properly. There needs to be a lot of care put in to determine the recovery indicators. Determines whether the costs are corporate non billable or billable to the partner. The billing indicator helps in identifying what kind of charge it is. Think of your cell phone bill. If you just saw one charge of $250 on your bill and nothing else, would you know what it is for? You would probably call the cell phone company and ask them what this was for. If a million people did that, then the cell phone company would be very busy in answering all these calls.So what do they do? They have different sections on the bill. If you notice that your bill is high compared to what you usually pay, you can look at that specific section where the cost are very high and you would know why you got charged more this month. similarly, the billing indicator helps identify what kind of cost these are on the venture. are these regular charges which came through the cutback or are these cash calls are these audit adjustments and so on.There are many different kinds of charges all these charges are mapped to a billing indicator which is mapped to a certain section on the bill. Production and Revenue accounting deals with the revenue side in the oil and gas business. How many barrels of oil were produced, how many did we sell? What’s the revenue that needs to be distributed to these partners? 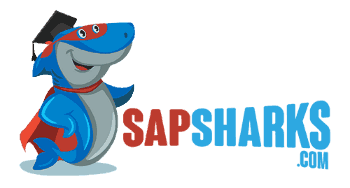 If you are using SAP PRA, then the same venture exists in JVA and PRA. It needs to be created twice, once under JVA and then in PRA. When the ‘valuation’ process runs in PRA to determine the revenue we owe each partner if a partner is part of the Joint venture in both JVA and PRA, then rather than paying him through PRA, we send this revenue to the JVA side so these revenues can be netted with the costs from JVA. It is a great skill to learn both SAP JVA and PRA as a lot of companies implement both of these modules and once you understand the business scenario, then you should be able to do both the modules. JVA is a great skill to acquire to a great SAP consultant. Thanks for reading. Let me know if you have any questions about JVA.